Now more than ever, traditional media outlets are embracing social media as a way to generate story leads, increase site traffic and create conversations with readers. 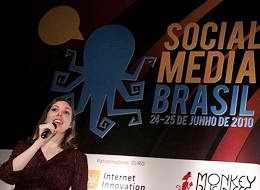 At Social Media Brasil, the largest social media conference in Brazil, There were six social media tips presented by Erica Swallow for traditional media outlets looking to either initiate or evaluate their social media strategy. Each tip is general enough to apply to any news organization but can be tailored to fit a particular company as well.